The name Sadako vs Kayako probably means nothing to you. But it might if I called it Ringu vs Ju-on (the Japanese films that The Ring and The Grudge were based on). I did a review of The Ring several years ago, and I wish I could review the entire Ringu/Ju-on series. I’ve seen them, and they are all so good. Japanese horror is one of the best types of horror out there. If you think the American remakes of them are bad, you need to watch the Japanese originals. But anyway, this movie combines the curses from Ringu and Ju-on in a really clever way. I don’t want to give anything away, because the film is still relatively new. I feel conflicted, because while I want to talk about the film, I don’t want to give anything away, so I’ll just use this post to tell people about it. It’s a Shudder exclusive. You can watch the film here. Feels weird calling this an introduction when there are several posts before this one. However, before this point in time, those posts were under the My Thoughts series. I had been saving my movie reviews for Casabloga, and I only added films I considered the greatest of all time in that series. But over the last few months I’ve been writing regular reviews for other films and putting them under the My Thoughts series. Tonight I decided to start a separate series where I review films I just don’t consider the greatest but still want to talk about. I’ll also be including shows into this, with the exception of my post on The Simpsons, because I referenced it in the introduction to the My Thoughts series, and it’d make that post not make sense. Basically, I won’t just be strictly doing reviews in this series, but that’ll be the main focus. Some of you might be breathing a sigh of relief to find that this is a “My Thoughts” and not a “Casabloga”. No, I do not consider them the greatest movies of all time. Unfortunately, neither are the original trilogy, as none will be making my Calabloga list. At least not that I know of. I add to that list everyday. Now the future entries list is twice as long as the current posted list. I will say there’s an unexpected trilogy on the way. I hinted at that in my Back to the Future review. Anyway, I must start this by saying that while I don’t find these movies to be the greatest, I don’t hate them as much as others do. I agree, they are terrible, but I don’t hate them. They could definitely be better. George Lucas should not have directed them. I grew up watching the original films. Even when I was little, I wondered what happened before them. Darth Vader kept making references to “last time” he and Obi-Wan met. So when I heard they were doing the prequals, I was excited. I was 10 when I saw Phantom Menace in theatre. I absolutely loved it, and I was Darth Maul for Halloween that year. That’s me, age 11, on Halloween 1999. 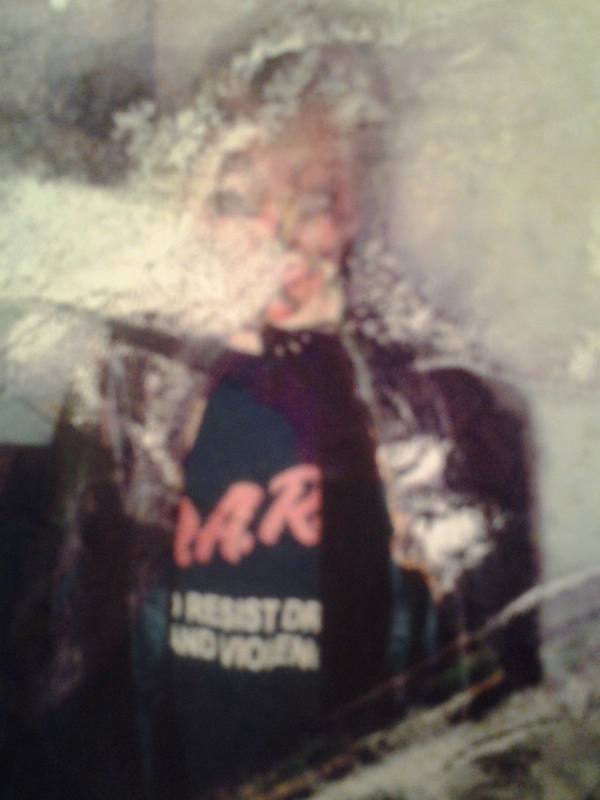 It’s also a picture of the original because a few years ago all my old photographs received water damage. Some look really bad. Yes, this looks good in compared to this. And yes, Darth Maul is wearing a D. A. R. E. shirt. I didn’t see Revenge of the Fallen Sith in theatres. My sister bought the DVD that Christmas. The first thing I noticed was that Padme was reduced to an annoying whiny….annoyance. In the first movie, she led troops into battle. The second movie, she was in the front lines of The Clone Wars (well, the beginning of the war). In the first film she stays home and mopes. I hated that my first time watching it. I hate even more every time I see it. On top of that, Hayden’s dreadful performance as Anakin-turning-evil was….dreadful. Just….totally awful. “DON’T MAKE ME DESTROY YOU!!!!!!!!!”. My sisters and I watched it laughing,. That’s not the emotion we should be feeling in that moment on the lava planet (or was it a Moon?). Or did it even happen? The way I see it, either the prequels were a bad dream or Obi-Wan is senile in his old age. When I watch the original trilogy, there’s things he says that make me go, “What?! That’s not what happened!!”. Like when he says, “Obi-Wan. Now that’s a name I haven’t heard since before you were born”. I’m paraphrasing, but the basic idea is that no one has called him Obi-Wan since long before Luke was born. Yet not only is that not true, Obi-Wan was IN THE ROOM as Luke was being born, and he is called Obi-Wan DURING THAT SCENE!! And the one after. He’s called that right through to the end of the movie. Normally this could be blown off as “nerds nitpicking”, but the things don’t match up are things that are very important stuff. It’s almost like Lucas hadn’t seen those movies since they were made. The prequels are heavily flawed, but I still find them enjoyable. Episode III is very dramatic when the Jedis are executed. And though it’s been made fun of too death, I fund the shot of a hooded Anakin turning and his eye all messed up is pretty awesome. As is the Birth of Darth Vader scene. Considering the major significance of that scene, they did it near perfectly. Even Hayden’s bad acting doesn’t ruin it for me. In fact, Samuel L. Jackson’s acting is worse than Hayden’s in that scene. Anyway, when Anakin cuts off Mace’s hand and Palpatine shoots him with lightening, it’s truly terrifying, the look on his face. No. I jus… I just can’t. I can’t. And I won’t. I still have a headache talking about what they did with Padme’s character. If I talk about that abomination, this will happen. Now, I watched Alfred Hitchcock’s “Psycho” a couple days ago. One of the (if not THE) best classic horror film ever made. I’ve seen it so many times, I could quote it. I was going to re-watch it tonight. But thought I would do something different. Instead of watching the obvious choice, I went with Psycho II. Not everyone knows that Anthony Perkins starred in three Psycho sequels, reprising his classic role as Norman Bates. I found out about them years ago, but I always avoided them because, I mean come on. A sequel to Psycho sounds like a bad idea. Much less three. Not to mention the third sequel is called Psycho IV: The Beginning. Yikes! But about a year ago, I took a deep breathe and watched all four movies together. Right from the beginning, I was surprised. Psycho II begins with the [in]famous shower scene, in black and white. After that part is over, it continues the old footage of where the camera goes the bedside table with the newspaper and it says, “Universal Studios presents” and all of that. Then shows the old house with Norman screaming, “Mother! Blood! BLOOD!!”. 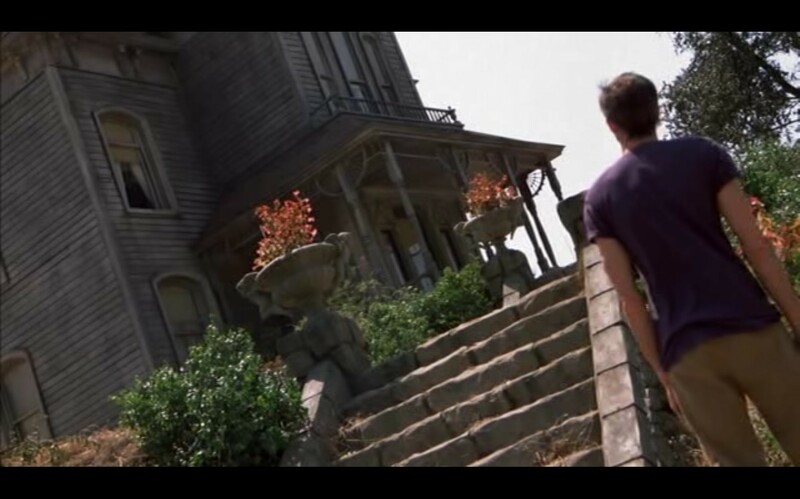 Then the words “PSYCHO II” appear, and the rest of the opening credits play as the camera stays in that shot of the house as the sun comes up, in full colour. That, to me, is a perfect way to begin the first sequel to Psycho. It pays tribute to the original, as well as allows you to make the transition from black and white to colour. I won’t go into the plot to much, because this is one of those films where I think the less you know going in, the better. I will say that after the opening credits, you see Norman Bates being released at a hearing, with Lila Crane, now Lila Loomis, as she clearly married Sam Loomis, protests his release. Lila is once again played by Vera Miles. The only other thing I will say about the plot is that in the original film, there is a line when Marion first arrives at the Bates Motel where Norman tells her that there is a diner just up the road. Well, that diner is an important part of this film, and I love how they included it. They didn’t even make that connection a big deal. They easily could have had Norman saying something like, “I once told a girl who stopped by the motel that this diner was there”. But instead, it was like a silent nod towards the fans. Psycho II is genuinely a great film. You don’t even have to pretend it’s not a sequel to such a classic, because it compliments the original film nicely. They didn’t make the sequel just to make the sequel. There was a reason for it, the story was furthered, and it even adds depth to the original film, because you go back and watch it and you remember some of the things you learned in the next film, like off-camera rooms in the Bates’ house, more details in the fruit cellar, and as I mentioned, the diner Norman mentions in that throwaway line. Psycho III is also a great film, but it didn’t feel like they tried nearly as hard with that one. Where Psycho II was a direct sequel to the original, they just tried to find a way to have a new Norman Bates story. They try hard to link the original to it by having a character that reminds Norman of Marion Crane. There is a bunch of references to the original film, such as Norman saying “We all go a little mad sometimes”, and even re-does the shower scene, only with a twist this time. While it’s definitely my least favourite of the Psycho series, it’s still an interesting film, and I still like it just because it’s part of the series. Psycho IV: The Beginning technically has a misleading title. Although it does go back and tell the story of Norman as a child, the story is told in flashbacks as Norman tells his life story to a radio station, Joe Dirt-style (only over the phone, not in studio). The ending to that film was a nice, concluding end. However, I am sure that had Anthony Perkins made further movies in the series, they would have been just as good. Sadly, we will never know if he had another good Norman Bates story. On 12 September 1992, just two years after making Psycho IV, Anthony Perkins (A. K. A. Norman Bates) passed away. If he were still alive today, I may be talking about Psycho XI: Space Motel. And you know what? I’m sure it would have been good.